Love And Sadness Linger In Snail Mail's 'Pristine' The bittersweet first single from Snail Mail's debut album, Lush, exudes the confidence of an artist coming into her own right in front of us. In our teens, we can't help but feel everything in heightened, conflicting extremes. That's true in matters of love and heartbreak, especially when we're still defining who we are and what we want to become. Lindsey Jordan, the compelling songwriter and guitarist behind Snail Mail, covers this period of her life in her music with knowing nuance. On the Baltimore band's 2016 EP, Habit, Jordan (then just 15) captured the messy dynamics of her personal relationships, and the restless, wide-eyed yearning felt when a world enticingly beckons from outside the bored stasis of high school and suburbia. 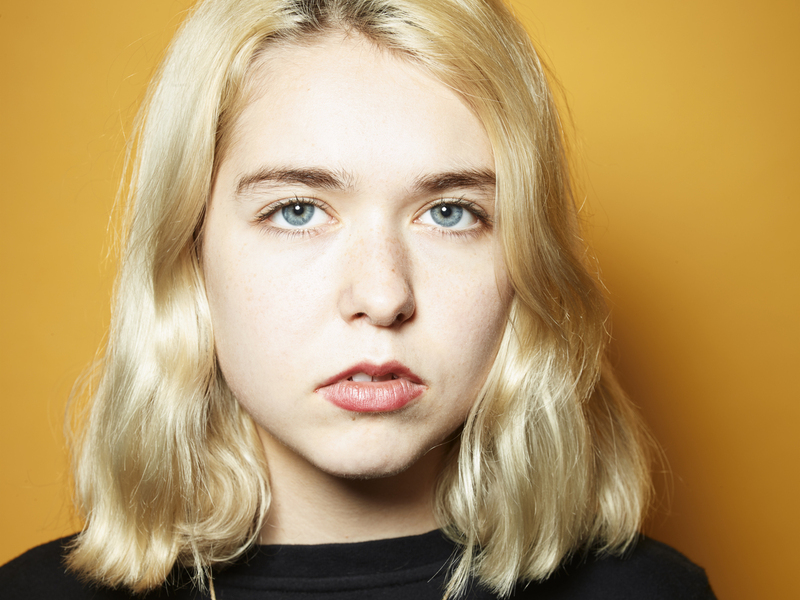 Two years later, recently graduated, and with countless shows under its belt, Snail Mail is now primed for a breakout with its full-length follow-up, Lush. The album navigates similar thematic and emotional territory as its predecessor, yet its bittersweet first single "Pristine," exudes the confidence of an artist coming into her own right in front of us. A love song and a tale of what could have been, "Pristine" finds Jordan pining for someone close, and second-guessing herself when her sentiments go unreciprocated. As she works through insecurities and things she should change, she also appeals for honesty, asking, "Don't you like me for me? Is there any better feeling than coming clean?" before declaring, "And I know myself, and I'll never love anyone else," with a lump in her throat. Later, Jordan admits that even if they can't be together ("We can be anything, even apart"), her love and her sadness will coexist and linger: "And if you do find someone better, I'll still see you in everything / For always, tomorrow, and all the time," she sings. Like most Snail Mail songs, "Pristine" is a showcase for Jordan's exceptional guitar work, reflecting her years of classical training and studying alongside Mary Timony (Helium, Ex Hex). That comes through in her complex chord voicings and spacious tunings, and in the distorted strums she unfurls in climactic moments. While producer with Jake Aron and engineer Johnny Shenka provide subtle instrumental adornments throughout Lush, "Pristine" builds energized tension from her bandmates, drummer Ray Brown and bassist Alex Bass, giving Jordan's voice poignant weight as she sings, "Who do you change for? Who's top of your world? And out of everyone, who's your type of girl?" Rarely can we witness the creative progression unfold from prodigious potential to fully realized vision so quickly. But when watching Snail Mail perform on stage, or hearing how a song like "Pristine" can unwind poetically with such fearlessness, it's clear Lush represents the beginning for a musician with so much to say. Lush comes out on June 8 via Matador Records.